Hmm... 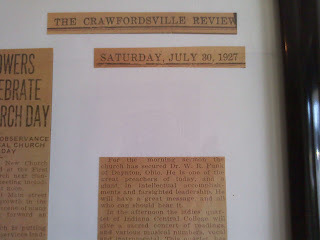 This is an interesting old piece of Newspaper that this church has posted on the wall. I wonder why it grabbed my attention. Oh. 27.